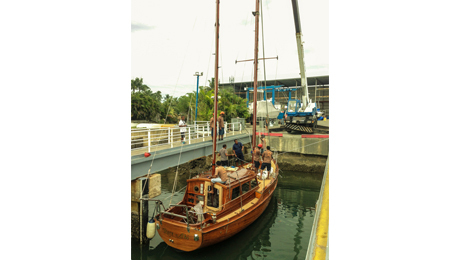 The mechanical engineering division of Baobab Marine continues to come highly recommended to us year after year. 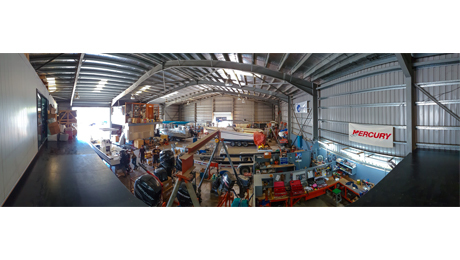 From their large workshop - ideally located in the service area on the hardstand at Port Denarau Marina - they offer all manner of highly skilled mechanical engineering services. Baobab Marine are agents for Yanmar engines, Mercury outboards and inflatable boats, Propspeed, and Spectra watermakers to name a few. 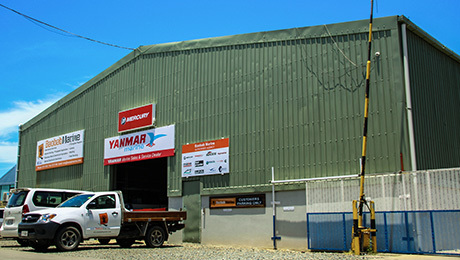 Whilst specializing in the sales, spares and servicing of these products we heard how their skilled metalwork department produce the best quality stainless work in Fiji. Their trained metal workers can fabricate any item from aluminium and make stainless fittings required to repair visiting yachts of any size. Originally established as a repairs / maintenance outfit for cruising yachts 10 years ago, Baobab Marine has since expanded to accommodate large yachts and is now widely recognized as one of the leading yacht services providers in the Fiji Islands. Their Superyacht Agency Support division based at Port Denarau Marina provides friendly, professional, reliable & efficient assistance with all manner of yacht services. 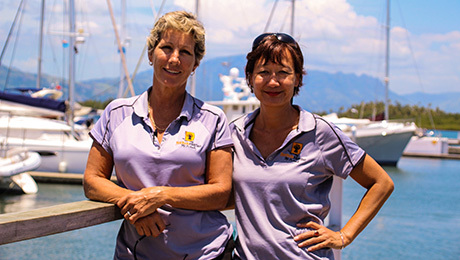 “Christine is great, she looks after all of our requirements we heard from the Fleet Captain of three well known yachts cruising the South Pacific this season.” All services are professionally delivered from berthing, customs assistance and clearance, concierge services, local and overseas provisioning, local geographical knowledge and charter advice, to specialised solutions and arrangements.